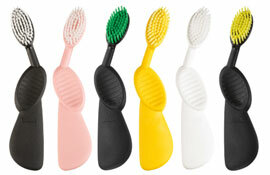 Enter to win a Scuba Toothbrush, Ends 3/6/13 open to U.S. residents only. The Black Opium sounds great! Hello there! This article couldn't be written much better! Going through this post reminds me of my previous roommate! He constantly kept talking about this. I will send this article to him. Pretty sure he's going to have a very good read. Thanks for sharing your thoughts on weight loss teas. few of the comments here "Radius Scuba Toothbrush Review and Giveaway". dead people? :-P And, if you are posting at other online social sites, I'd like to follow everything fresh you have to post. Would you post a list of every one of your shared pages like your linkedin profile, Facebook page or twitter feed?